Tom W. Vines brings over 25 years of Human Resources experience from a variety of senior U.S. and international positions with IBM, Cigna, and the University of Michigan, and has a successful track record of developing and implementing human resources strategies aligned to business strategies. Throughout his career, Mr. Vines drove a strong focus on the talent management cycle including staffing, coaching, succession planning, retention, and development. Prior to his retirement, Mr. Vines served as vice president of Leadership at IBM. In this role, he was responsible for identifying and developing emerging leadership talent across IBM and directing the company’s global leadership center. He designed and implemented several signature development solutions for critical leadership roles around the world, such as Country General Managers, Branch Managers, and Top Technical Talent. Mr. Vines also led a team responsible for the leadership integration of all acquired companies. Under his leadership, IBM was recognized by Fortune magazine as the top ranked company for developing Global Leaders. Previous to this role, Tom was located in Shanghai, China, serving as Vice President of Human Resources for IBM’s Emerging Markets, where he focused on IBM’s expansion and growth across 140 countries including Africa, ASEAN, Australia, China, Eastern & Central Europe, India, Latin America, Korea, Middle East, and New Zealand. Mr. Vines lived in Shanghai for five years, taking several immersion language classes and developing his Mandarin Chinese language skills. 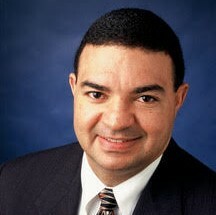 Before joining IBM, Mr. Vines served as Vice President of Human Resources for Cigna where he designed and implemented all Human Resources programs for Cigna’s Technology Division. His leadership was instrumental in Cigna achieving recognition as one of the best places to work for Information Technologists according to Computerworld Magazine. Mr. Vines’ background includes leading multiple functional areas in organizational design, performance management, diversity and inclusion, employee relations, compensation and rewards. He has been recognized broadly for his significant strengths in creative Human Resources development and design with a strategic focus on developing talent to deliver business results. Mr. Vines holds a bachelor’s degree from Virginia Commonwealth University in Business and Human Resources and a master’s degree in Human Resources from American University in Washington, D.C. For more information, or to arrange a meeting with this executive, please contact Sharon Malone, President, BeamPines at mailto:smalone@beampines.com, or call (860) 674-9325.